Realize the untapped potential of Rural and Tribal India which has waited for long to emerge and flourish. Come forth empowered socially and economically as the New Face of India. BLSP is committed for bringing them in to the main stream of national progress and bridging the Gap and minimize the disparity between urban and rural society. Bharat Lok Shiksha Parishad (BLSP) is a non – Government, non profit service organization dedicated for bringing Education and village development to Rural / Tribal India. While India is making giant advances in software, space and nuclear power, it is paradoxically still struggling with basic literacy for a large segment of its population. At the time of independence India’s literacy rate was a staggering 11%. Since then, it has made tremendous strides in educating its people. According to 2011 census, the literacy rate has grown to 74.4%; however, this figure is still below the world average literacy rate of 84%. The RGI census data states that though the gap between the literacy rate in urban and rural areas is steadily declining, the divide still exists. 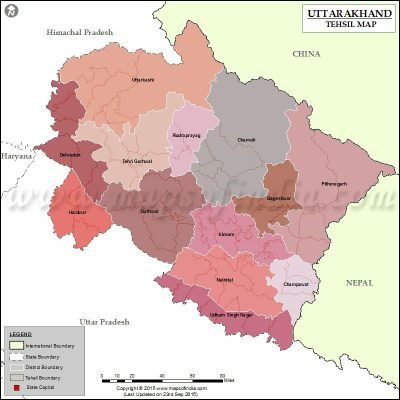 The literacy rate among the urban population is 84.1%, while the literacy rate of the rural population is only 67.8%.The tribal/rural inhabitants live in remote areas far from major cities. They are often unreachable by road and untouched by electricity, causing them to be neglected by development agencies. Hence the Ekal Vidyalaya Movement emerged as the most pragmatic solution to this national feed. To date, Ekal Vidyalaya is a movement of over 81112 teachers, 9434 voluntary workers, 10 field organization (throughout 25 Indian states), and 8 support agencies. It operates in over 81112 schools and educates more than 2.00 million children. 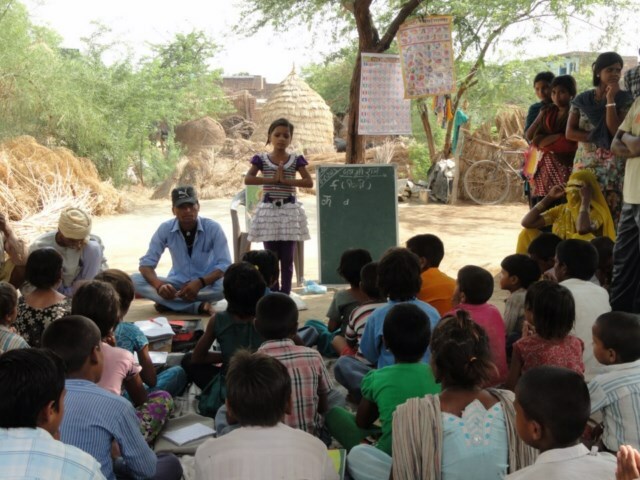 Apart from its goal of achieving the national standards of Minimum Levels of Learning, Ekal Vidyalaya seeks to empower the village community for its own self-development through five verticals of Functional Education, Health care Education, Development Education, Empowerment Education and Ethics & value Education. Ekal Vidyalaya is the key to this Movement’s remarkable success. In late 1980s during the period of Ekal’s founding, children in rural India did not have many options for getting education. According to the census in 1981 only 38% boys & 25% of girls in rural India between the age group of 6 to 10 years attended school. There were reasons, such as the lack of interest in education, economic barriers, helping in household activities and non-availability of accessible schools as stated in the survey of 1989. Rammurthi Committee Report played an important role in strategizing and setting directions for Ekal Movement. The committee pointed out that the rural areas in general and the tribal areas in particular, have suffered in terms of resources, personnel infrastructure facility. This phenomenon of regional disparities in educational development has acquired a major political dimension in the current Indian scene. It is reflected in the regional and sub-regional movements. Therefore, the need of the hour is planning for and implementation of educational development programs. Ekal had presented solutions to the many issues surfaced in the survey of 1986. They tackled the lack of interest in education by introducing Joyful Learning system which is a Non-Formal Method of Teaching. In terms of economic barriers, Ekal follows a low-cost model. The Ekal school schedules are based on convenient hours recommended by Gram Samiti, allowing time to children for household economic activities and domestic chores to be completed. Lastly, Ekal brings the schools and teachers directly to the villages, overcoming the issue of inaccessible schools. Despite the increase in rural children attending school after the RTE passed, there continued to be need for Ekal schools since government schools were not well run. The teacher’s absenteeism and the quality of classroom teaching were deeply disappointing issues. 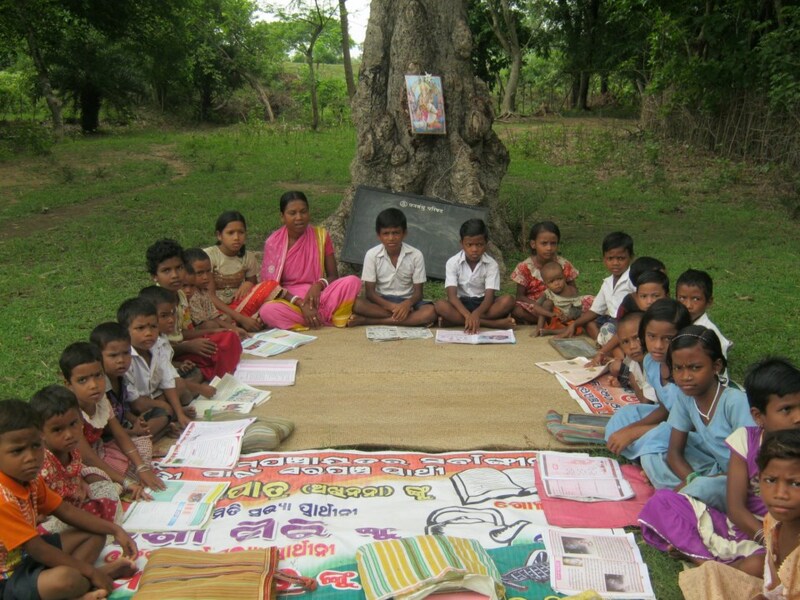 In 2013, Ekal schools were the only source of education in approximately 20% of the villages in which they operated. In 1985, Shri Shyam Ji Gupta a social activist and visionary had initiated a plan in Phoolbani district of Orissa for development of tribal society called “Phoolbani district upgradation project”, under this project night schools were running in 400 villages where children came along with adult villagers. In order to implement the programme better and to get support from cities, many affluent families from Kolkata motivated by Sri Shyam ji went to Phoolbani district as part of the Vanyatra. While returning from the journey it was decided that a group may be formed which would bring out the realities and problems of these tribal societies and make the urban people aware of them who are ignorant of this reality. Thus “Friends of Tribals Society” was founded as a response to bridge the gap between tribals and urban citizens of India, in Kolkata in 1989. In this continuation Bharat Lok Shiksha Parishad (BLSP) was founded in Delhi in the year 2000 to spread the Ekal Vidyalaya Movement in Northern part of the country. 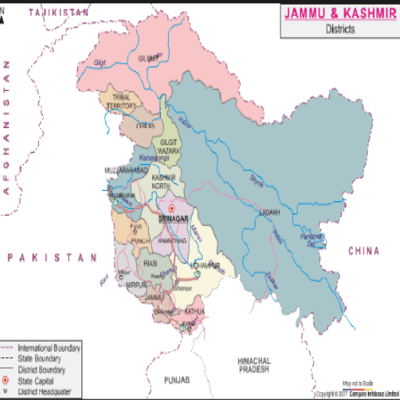 BLSP’s spread is in Utter Pradesh, Himachal, Uttarakhand, and Jammu. 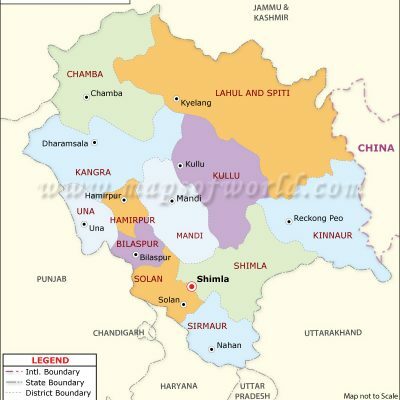 BLSP is currently running 16170 Ekal Vidyalayas in 16170 villages of the above said states. The direct intervention of BLSP involves monitoring of Ekal schemes in remote tribal/rural areas, resource management through Donor cultivation, quality updating by regular supervision, periodical evaluation of the work and training of Ekal Teachers and volunteers. Besides this BLSP has opened its branches (Chapters) in all the states to Procure and generate resources and urban volunteers. 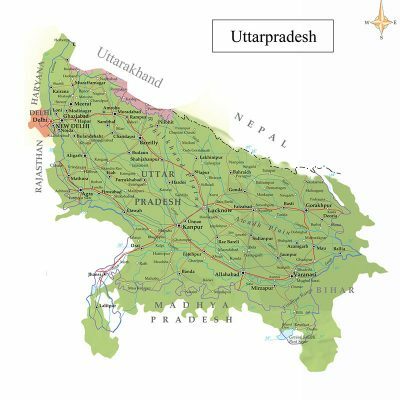 Hence, there are chapters in Varanasi, Prayag, Kanpur, Lucknow, Jammu, Moradabad, South Delhi, North Delhi, West Delhi, East Delhi, Centeral Delhi and Gurugram. These chapters are organizing fundraising programs, cultivation of urban volunteers to support administration and Ekal works. The chapter committee members have direct intervention with Gram Sangathan and Sevavrati Volunteers also through various meetings. Today BLSP as the front-runner organization of Ekal Vidyalaya Movement stands on the strong foundation build by many social leaders, business magnets and Pioneers of Social activism. The contribution of Sh. Laxmi Goel, Sh. S.N. Bandhu, Sh. Subhash Aggarwal, Sh. Om Prakash Singhal, Sh. G.D. Goel, Sh. Naresh Kumar, Sh. Naresh Jain, Prof. Manjushree, Sh. Ramesh Kanodia And Sh. Ashwani Aggarwal is worth noting. 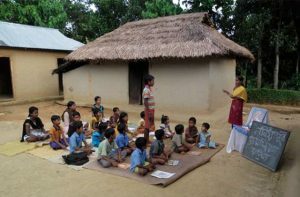 The concept of “One Teacher School” was conceived in Gumla (Jharkhand) in June 1986 in a seminar to find out the solution to the problem of illiteracy in tribal villages. Sh. Bhau Rao Devras a renowned social activist had outlined the concept of One Teacher School. Dr. Rakesh Popli helped in refining the concept and wrote the Book “Khele Kude Nache Gaye” about non-formal method of teaching, for the pioneering schools that were established among the tribal later on. The same year, Late Sh. Madan Lal Agarwala, an eminent industrialist who owned coal mines in and around Dhanbad, decided to put this idea of Shri Bhau Rao in practice and set the stage for setting up of first 60 Ekal Vidyalayas (One Teacher Schools) in Dhanbad. This was the first successful experiment of Ekal Vidyalaya by Late Sh. Madan Lal Aggarwala. This humble initiative of Ekal Vidyalaya got wings when Sh. Shyam Gupt ji became the Master Architect of the whole Ekal System in 1989-90 under the banner of Friends of Tribals Society. With his tremendous organizational capacity and unparalleled imaginative and analytical power he translated a simple Ekal Vidyalaya in to a magnanimous global movement of Bharat in span of 26 years. Since then Sh. Shyam Gupt ji, the farsighted visionary has been the constant source of Inspiration and guidance for the entire Ekal Movement Pariwar and its multifaceted ventures. The significance of their contribution is multifold. The Tremendous spirit of Volunteerism has been driving force with which these eminent personalities dedicated their Tan – Man – Dhan to the noble cause of Ekal Movement. To provide non-formal primary education through cost effective One Teacher school (O.T.S.) i.e. Ekal Vidyalaya. To promote health-care by health-care education and first aid under Arogya Yojna. To achieve economic development by educating and training for small vocations and imparting training for Zero Cost Natural Farming with the cheapest and most effective manure prepared with cow dung and pesticide with cow urine. Empower education by creating awareness about their rights, achieving their dues out of government projects with the help of Right to Information Act, enabling them to become self-reliant and live with self-respect. Cultural and spiritual awareness with sanskar education. Achievement of rural urban co-ordination by vanyatras undertaken by urban citizens in the tribal villages. Empowerment of crores of Tribals and Rural brethren of Bharat, by making them socially strong, educationally aware, economically vibrant and self-reliant so that with their involvement Mother Bharat reaches the pinnacle of glory. Savior has four core values that are more than just buzzwords. They’re at the center of our office culture and drive our daily work. The government boasts extensive and functional schools. What is the need for an Ekal Vidyalaya? Students cannot / do not attend primary education centers. How is Ekal Vidyalaya different from other development organizations? How does the imparted education help to develop people and a community? How can one teacher handle three different class and grade levels? Requires a trained teacher, inspired students, and a parental and community support. How does Ekal Vidyalaya manage to run on such a minimal budget? Support of the villagers and surrounding Local Securities. As volunteers and committees are not financially motivated, what drives them to continue? Working for their OWN community. A voluntary attitude and missionary zeal. As the average teacher is even below a tenth-grade, high school graduate, how is he or she qualified to teach in Ekal Vidyalaya? Upon finding a capable, potential teacher, a series of training sessions assure that the teacher is thoroughly qualified. Timing – Three months after school starts and every 6 months thereafter.